Last week, astronauts aboard the International Space Station woke to an alarm warning them of a pretty serious situation. The space station was losing pressure, which means a leak had formed somewhere on the spacecraft. With a finite amount of breathable air, the race was on to find the location of the leak and do something to fix it. 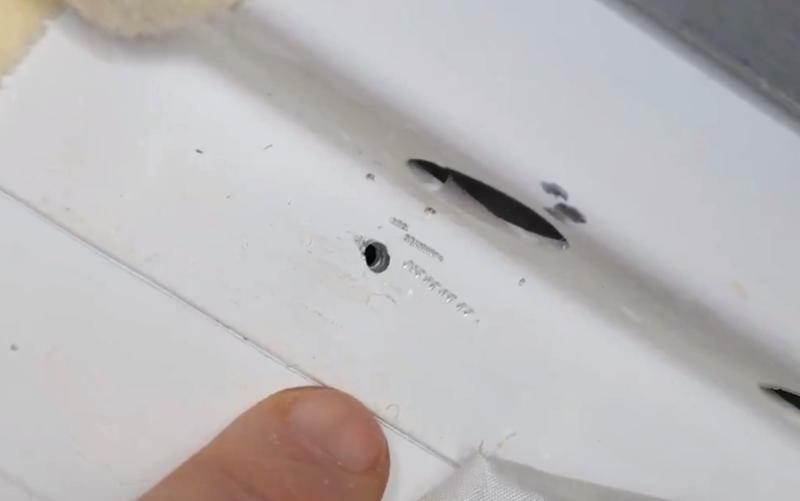 It wasn’t long before a tiny hole was discovered in the Russian-built Soyuz spacecraft docked to the space station. The tiny opening was thought to be the result of damage from a micrometeorite, which isn’t unheard of, and the crew quickly came up with a plan to repair it. Now, days later, Russian space agency Roscosmos says the hole wasn’t made by Mother Nature, but by a person with a drill, and tensions are high. The images of the hole are pretty damning. It doesn’t look much like the result of a fast-moving space rock, and certainly appears to be drilled. There even appears to be marks on the paint-covered metal from where a drill bounced along the surface before finding purchase and slicing its way through. As ScienceAlert reports, this whodunit has taken a seriously wild turn over the past day or two. No, this isn’t a Clue-like scenario where one of the six members of the current ISS crew is the baddie; Roscosmos believes the hole was drilled in the spacecraft prior to it ever leaving Earth, and they’re searching for the individual in the manufacturing process who is responsible for it. No word yet on what kind of punishment, if any, the individual will suffer, but sending a manned spacecraft into the sky with a hole in the side is obviously a pretty serious misstep.